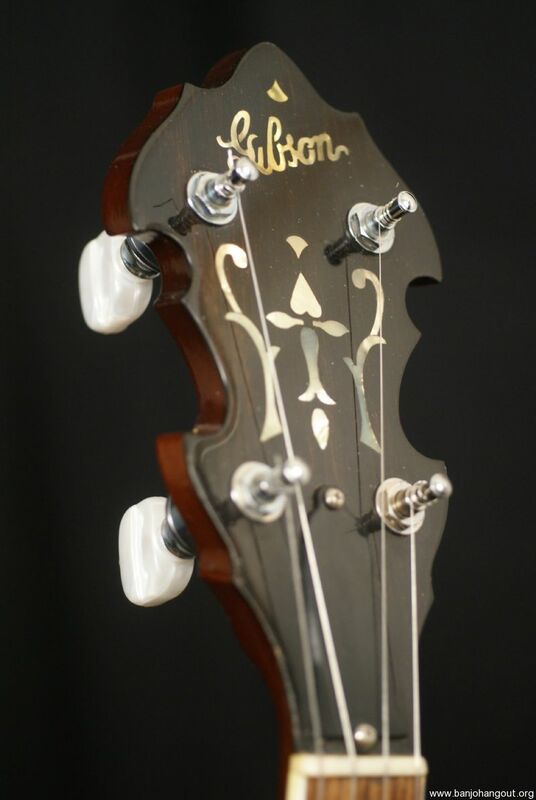 2002 Gibson RB3 with a factory installed Kulesh tone ring and the original Gibson hardshell case MADE IN USA. 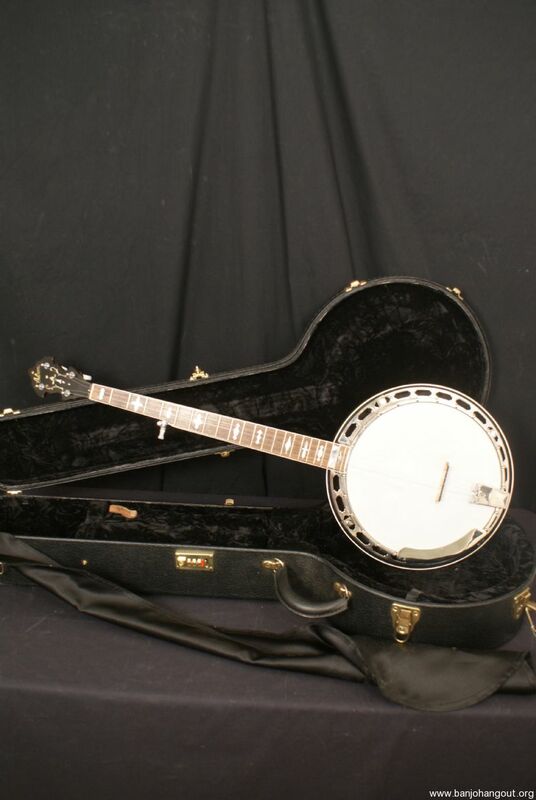 This has been factory inspected and set up here at the Banjo Warehouse and includes a Full Satisfaction Guarantee. This is an all original RB3, the Kulesh ring was factory installed as a special order when this was originally made. 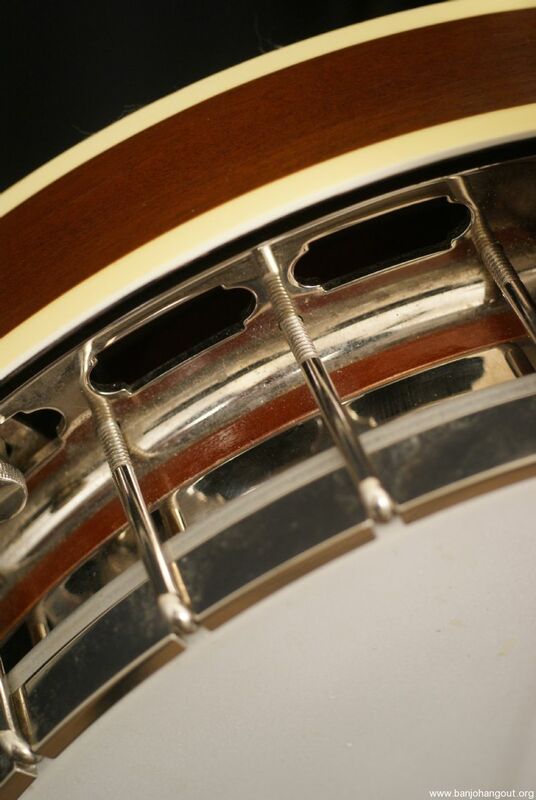 This is definitely a special banjo because the Kulesh ring was the superior ring that was being made prior to this and a lot of people think is the best tone ring that exists. 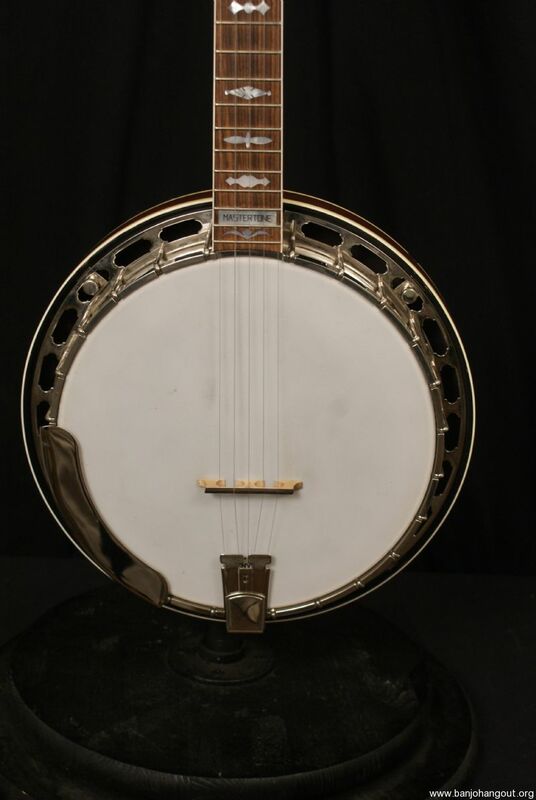 This banjo barks with a lot of bite as well cutting through the jam with the classic RB3 bluegrass sound. 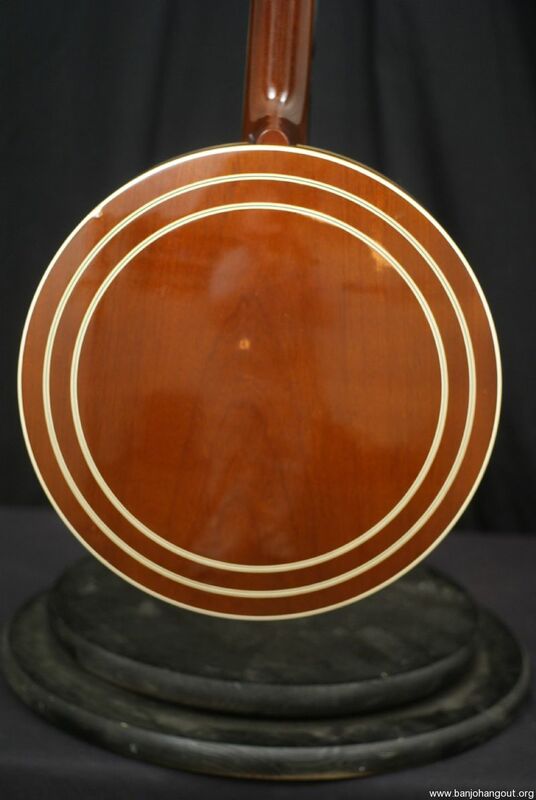 The condition is excellent but the resonator does have a nick on the binding around the side and there is some sort of fading on the resonator on a couple of spots near the concentric rings. The frets show light wear as well but nothing that causes any problems, light wear. There are spikes at the 7th through the 10th frets. The case is in fantastic shape as well. The Kulesh tone ring is a huge plus because these are some of the best tone rings that have ever been made. This is set up with zero playing or sound issues and this is sold with a Full Satisfaction Guarantee. This ad will automatically expire 5/13/2019 2:53:53 PM unless updated before that date. To keep the system current, ads expire if not updated for more than 60 days.